Twenty-three million people — including 1.3 million Texans — may lose access to community health centers in the next several weeks if the federal government doesn’t renew funding for them. Karina Ramirez has been going to community health centers with her family all of her life. It’s affordable, the Nuestra Clinica del Valle is only 15 minutes away from her home in Mercedes, she can go for her annual physical, there’s a short wait time and she likes her gynecologist. Ramirez, 18, who is seven months pregnant with her second child, says she doesn’t go to the doctor very often except for her monthly prenatal care appointments. She is not sure what she would do if the clinic were to close. “I wouldn’t know; I would have to do some research,” said Ramirez, a certified nursing assistant at a nursing home. Ramirez is one of the 23 million people — including 1.3 million Texans — who may lose access to community health centers in the next several weeks if the federal government doesn’t renew funding for them. Federal funds provide 70 percent of community health centers' support, but Congress allowed the funding to expire on Oct. 1 and the clinics say they will run out of money in March. Health advocates say that while community health centers typically have bipartisan support in Congress, recent fights over immigration, taxes and the Children’s Health Insurance Program have put them in jeopardy of cutting services, laying off staff or closing. Community health centers, also known as federally qualified health centers, provide services such as medical, dental, vision and behavioral health care and access to pharmacies. The centers serve patients who are low-income and uninsured, and they often exist in communities that have a shortage of doctors, dentists and mental health professionals. There are more than 70 health centers statewide. Advocates say they are hoping Congress will approve a continuing resolution this week that includes renewing funds for community health centers. Caldwell said she has doomsday scenarios for if her centers run out of federal money next month. The network of clinics serves about 110,000 patients in Houston and Beaumont. Right now, Caldwell says, they can still make payroll, but if the funding doesn’t get reauthorized soon, she’ll have to go ahead with plans to close clinics, furlough staff and cut back on services. Caldwell pointed out that having community health center funding in flux is especially stressful in the middle of a deadly flu outbreak. “They’re all going to end up in the emergency room if we lose our funding,” Caldwell said. Mimi Garcia, director of policy and external communications for the Texas Association of Community Health Centers, said clinics have never had their funding actually expire, let alone take this long to be secured. She pointed out that the federal money is a reliable source of revenue for health centers that makes it easier for them to apply for bank loans. Without it, banks may be more hesitant to give loans to centers looking to pay for new equipment and repairs. In Eagle Pass, William Worrell, CEO of United Medical Centers, is fighting off the possibility of layoffs any way he can. He has halted remodeling projects, implemented a hiring freeze, cut overtime and told staff to only order medical supplies as needed. Worrell said he’s worried about what will happen to patients. The center serves more than 29,000 people. 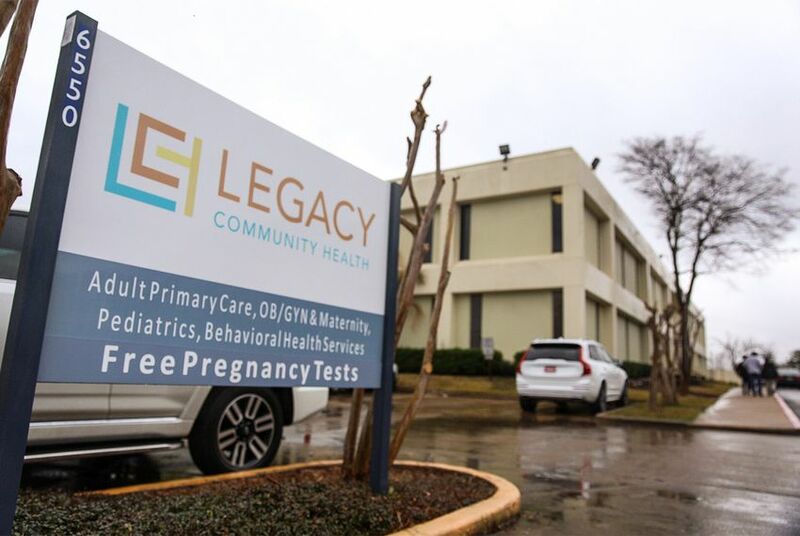 Disclosure: Legacy Health and the Texas Association of Community Health Centers have been financial supporters of The Texas Tribune, a nonprofit, nonpartisan news organization that is funded in part by donations from members, foundations and corporate sponsors. Financial supporters play no role in the Tribune's journalism. Find a complete list of them here.